Studio unit with kitchenette including microwave, ensuite bathroom with shower and toilet, individually controlled heating, LCD TV with 50+SKY channels. 1 x Queen bed and some units with 1 x single bed also - please specify if requiring a queen + single bed configuration. Executive Studios have a kitchenette with fridge, microwave and cooking plate, ensuite bathroom with shower and toilet, individually controlled heating, double glazing. LCD TV with 50+SKY channels. 1 x Queen bed and some units with 1 x single bed also - please specify if requiring a queen + single bed configuration. Our family unit has a full kitchen with fridge, microwave and cooking plate, ensuite bathroom with shower and toilet. 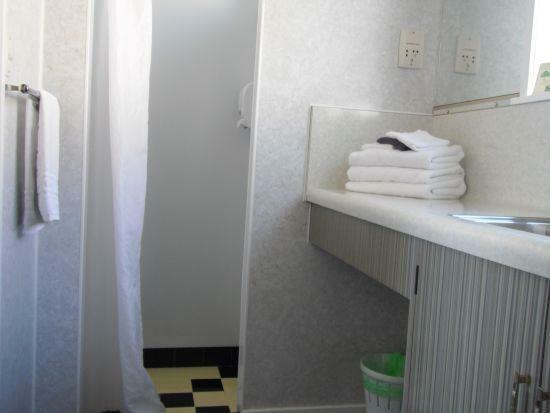 There is also a separate toilet, individually controlled heating, LCD TV with 50+SKY channels. Two queen size bed and two single beds. 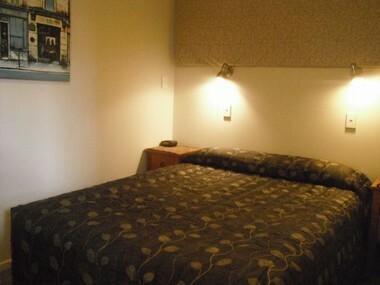 (A third single bed can be added to this room). Two Bedroom unit has a fully equipped kitchen with fridge, microwave and cooking plate, ensuite bathroom with shower and toilet, individually controlled heating, LCD TV with 50+SKY channels. Each bedroom has a queen sized bed. there is a full single bed in the lounge.